Are you faithful to pray daily for your marriage? Intentional, scripture-led prayer does not come easily to me. But I believe, the habit at the heart of every marriage is prayer. Maybe you struggle to pray faithfully for your marriage, or maybe you are faithful to pray, but want to grow in praying scripture-based prayers for your marriage. Either way, I would love for you to join me in a 21-day prayer challenge for your marriage! I want your marriage to thrive! 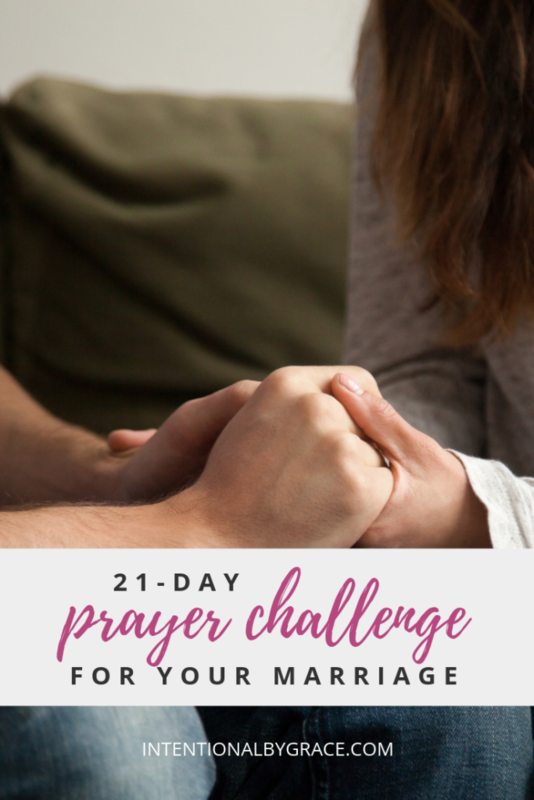 The 21-Day Forever By Grace Prayer Challenge is a wonderful way to take your marriage before the throne of God and allow Him to work deeply in your marriage, but even more importantly, in your own heart. When you sign up for the 21-day prayer challenge, you will receive a daily reminder in your inbox to pray for your spouse. I will provide you with a daily topic, scripture, and sample prayer to lead you through faithfully praying for your marriage. It is my prayer that through this challenge you will develop the habit of prayer and experience sweet grace in your daily walk with the Lord and with your spouse. In addition, when you sign up, you’ll receive a free printable with 64 Questions to Ask on Date Night! These are questions my husband and I have used throughout the years to be intentional on date night. It’s easy to get caught up in talking about work, the kids, money, etc. These questions are great conversation starters to help you make date nights about the two of you! Finally, I’ve geared the language of the prayers in a way that allows men to sign up for the challenge as well. 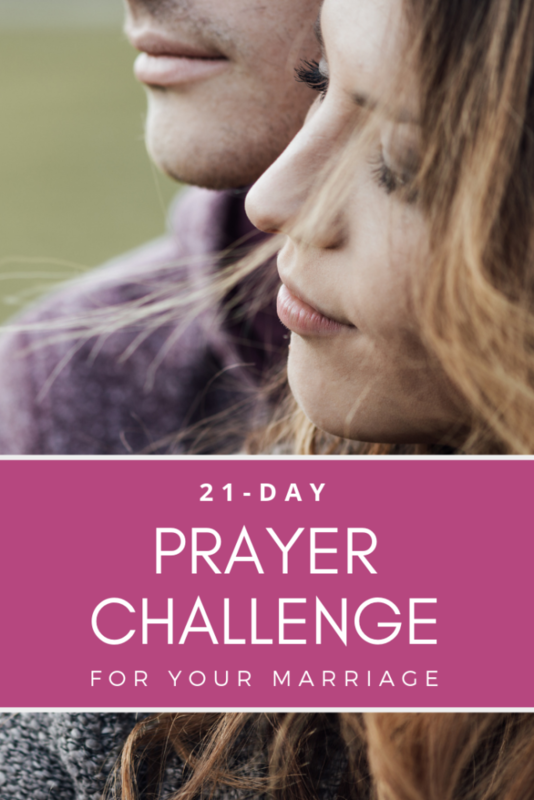 Feel free to share this 21-day challenge prayer challenge with your spouse! Sign up for the 21-day Forever By Grace prayer challenge using the form below, and receive your free printable with 64 Questions to Ask on Date Night right now! Leigh Ann, I just have to tell you what a wonderful blessing the 21 day prayer challenge has been for me. My husband and I are in full time ministry. He travels with the ministry and I run things here at home. This prayer challenge has been such a great way to cover him and our marriage in prayer while he is traveling. Thank you for being passionate about your call!